At Accent Carpet One Home and Floor in Lodi, Manteca, and Tracey, we have a wide selection of hardwood flooring options to choose from. Choosing hardwood flooring for your home will offer both beauty and character. The natural grains and imperfections of hardwood truly lend warmth to your home for years to come. The extensive hardwood floor selection is finished using techniques that result in lower maintenance for you throughout the life of your floor. Our flooring professionals are your local hardwood flooring experts. They can help you find the best type of hardwood for your home. We can narrow down your selection based on your lifestyle and personal style. 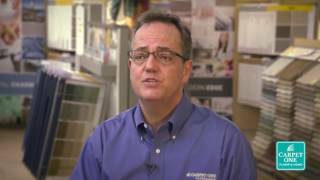 As your local flooring retailer, we take pride in offering you one-on-one personalized service. When you shop with us, you will find a wide collection of styles and trends to choose from. We carry classic, modern and traditional hardwoods as well as rustic hardwood flooring options that emphasize wood's natural character. The different styles of hardwood are characterized by features such as plank length and width, wood grains, color, shine, and even texture. Hardwood floors are all made from different species of wood. The different hardwood options include maple, cherry, oak, and birch, among others. Each wood option offers unique shades and character, and they also feature different strength levels and wear resistance. Solid hardwood is one solid piece of wood from top to bottom. Solid hardwood performs best when installed above or on grade, and can even be sanded and refinished to extend its lifetime in your home. Engineered hardwood floors are made of multiple real wood veneers whose grains run in different directions in order to increase stability. This allows the floors to resist expanding and contracting during weather changes. These planks can also be refinished. They best perform installed in above, on and below grade so you can enjoy them on every level of your home! Hardwood is recommended for home settings where there isn't significant foot traffic and moisture. Popular spots for hardwood are bedrooms and living rooms. Solid hardwood should be installed in cool, dry places around your home. Engineered hardwood can be installed on all levels of your home, including your basement. Other places hardwood can be install includes hallways and staircases. To learn more about hardwood, visit one of our showroom locations in Tracy, Lodi, or Manteca, CA and speak with one of our hardwood experts. Looking to dive right into our flooring options? View our hardwood flooring products and exclusive brands such as Rustic River™ and Voyager™. How is Hardwood Flooring Installed? Hardwood flooring installation should always be done by a professional. When done right, hardwood flooring not only lasts for years in your home but also adds real estate value.